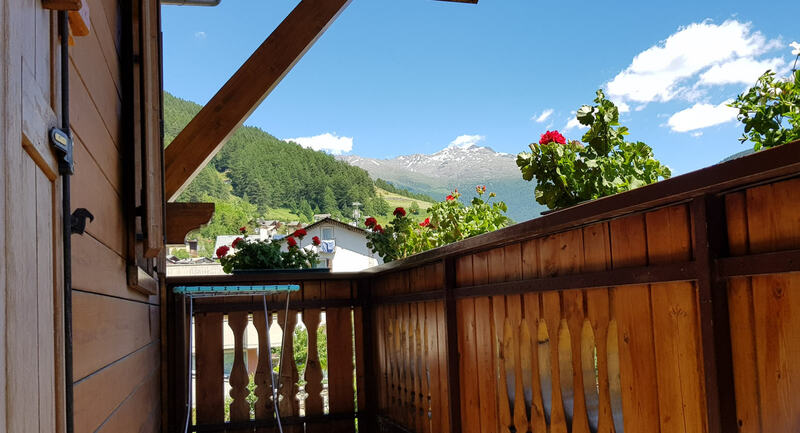 La Baita al Pian is a modern and comfortable residence located in the village of Bormio. Located in a central position and immersed in a breathtaking mountain scenery, the structure offers its guests the typical warmth of family management. Upon your arrival, the Praolini family will welcome you with joy and will be at your disposal to guide you in discovering the typical Valtellina hospitality. Our residence, built in the nineties offers apartments of various sizes, arranged over three floors. Located in the basement of the building a large private garage guarantees a parking space for each unit. A garden with a play area allows our guests to spend pleasant moments outdoors, comfortably sunbathing on deckchairs or playing with their children. The proximity to the Terme di Bormio, makes the Baita al Pian the ideal solution for all those wishing to spend a wellness holiday. From the house, in a few minutes, you can walk to the brand new structure that houses the thermal pools and the spa. A great place to regenerate your mind and body. A few meters from the hotel, easily reached on foot there is an efficient Skibus service that you can use to reach the beautiful slopes of the area located just 800 meters from our residence. Well 50 Km of slopes to make you excite and to make your holiday unforgettable. Thanks to the excellent agreements with the spas of the Magnifica Terra and with Bormio Ski the structure guarantees you discounts and excellent prices on wellness and skipass! Two-room apartment: about 50 square meters -. Comprising a bedroom with double bed, large living room with sofa bed and single bed, equipped kitchenette, bathroom with shower. View on the mountains. This spacious one bedroom apartment for rent in the Magnificent Land with a bedroom, living room with kitchenette, bathroom, garden or balcony. It is located in our accommodation facility behind the thermal spa of Bormio. The apartment opens onto a spacious living room where there is a fully equipped kitchenette, a table with 5 chairs, a comfortable single bed and a double sofa bed. 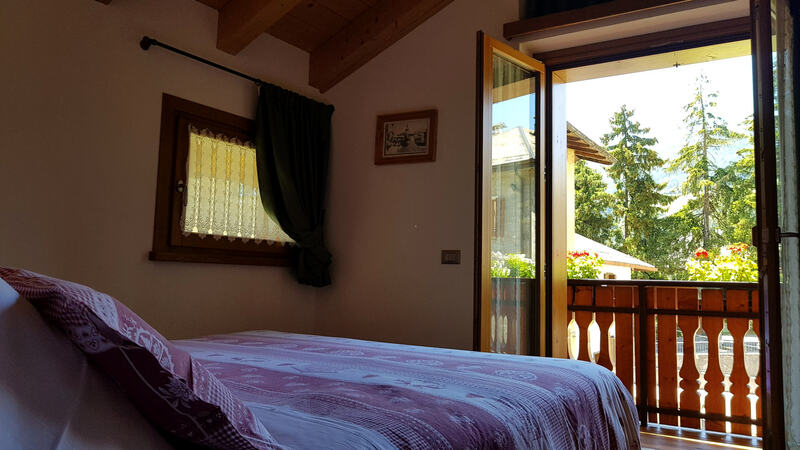 The bedroom with double bed and large wardrobe is very warm and bright thanks to its two windows from which you can enjoy an excellent view of the surrounding mountains. Studio: about 40 square meters - Composed of a single room with double bed, single bed, equipped kitchenette, bathroom with shower. Mountain View. This cozy accommodation has on the left of the entrance the kitchenette with fridge, ceramic hob and comfortable compartments for the food. The kitchen block is equipped with all the necessary equipment to prepare and enjoy excellent meals. The room is furnished with a comfortable double bed with two bedside tables, a single bed made of solid wood and a table with four chairs. The apartment is very bright thanks to the presence of three windows and a door window. The bathroom, also with a large window, has a shower and a washing machine. Two-room apartment: about 45 square meters - Ground floor with direct access to the garden. Apartment with double bed, living room with double sofa bed, equipped kitchenette, bathroom with shower and washing machine. This comfortable apartment opens up onto a cozy living room with a kitchenette furnished with a table, four chairs, a double sofa bed and a comfortable TV cabinet. The kitchenette is equipped with all the necessary equipment to prepare and enjoy good meals and is also equipped with ceramic hob, fridge, microwave oven, kettle. The living room leads to the bedroom with a spacious wardrobe and a comfortable double bed. To the right of the entrance you enter the bathroom where in addition to the shower and toilets there is also a useful washing machine. Two-room apartment: about 45 square meters, First Floor One / Two Balconies, view of the mountains and the garden. Composed of a double room, a living room with a double sofa bed, a fully equipped kitchenette, a bathroom with a shower and a washing machine. This beautiful two-room apartment with large balcony is composed of a bright room with double bed equipped with bedside tables and wardrobe with three doors and living room with kitchenette. 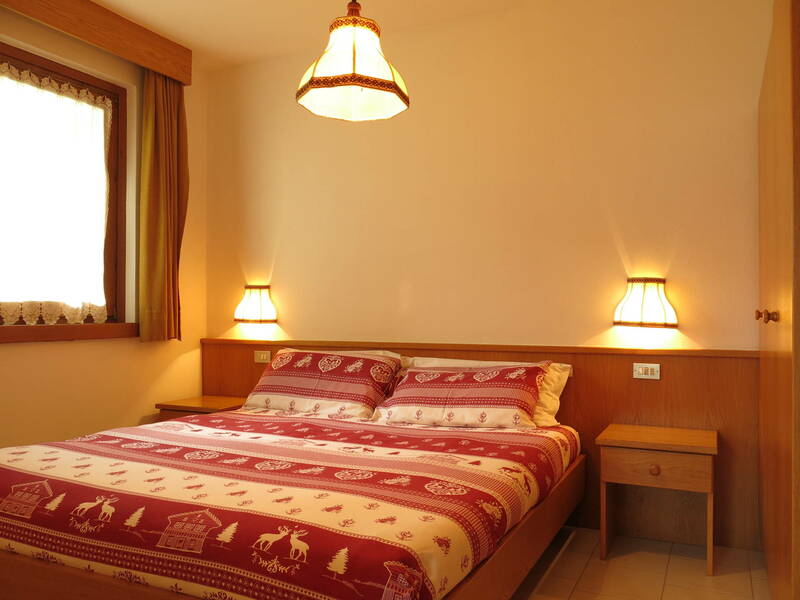 The living area is furnished with a table, four chairs, a double sofa bed and a comfortable dresser. The apartment offers its guests a kitchen equipped with all necessary equipment for cooking and is equipped with fridge, induction hob, microwave and kettle. Attic with exposed beams - Three-room apartment: about 75 square meters, second floor, balcony, panoramic view of the Stelvio slope and the village. Composed of a double bedroom with bathroom, a twin bedroom, large living room with double sofa bed, equipped kitchenette, second bathroom. This spectacular attic with exposed beams opens onto a huge living room characterized by large windows that give the apartment a splendid brightness. Beautiful green draped curtains give the room a touch of pleasant theatricality and with these large windows the view of the mountains is assured. The kitchenette is equipped with everything necessary for the preparation of delicious dishes and is equipped with dishwasher, refrigerator, microwave, kettle. From the living room, through a short corridor leads to the sleeping area. The bedrooms of this apartment are two, both doubles. The first bedroom is very spacious and furnished with two single beds (adaptable to double), chest of drawers, large wardrobe and is equipped with private bathroom with shower and large balcony. The second bedroom is furnished with a double bed, bedside tables and large wall cupboards and has access to a large balcony. A second bathroom with shower and washing machine completes the equipment of this beautiful apartment. PARKING: reserving an apartment you can also automatically book a parking space in the covered garage located in the basement of the structure. OUTDOOR SPACES: equipped garden with playground and deck chairs. SKI: heated ski and boot storage. BIKERS: deposit helmets in lockable lockers. INTERNET: WIFI available free of charge for all guests. CHECK-IN: from 4 pm to 10 pm (night check-in on request). Cancellations are valid only in writing. The payment of the deposit is intended as confirmation of the reservation, in case of cancellation, delay, renunciation of the deposit will be retained as required by Article 1385 of the Civil Code. Refunds or discounts are not allowed for days of use not used due to late arrival or early departure. In the apartments it is not allowed the lodging of a number of people superior to the confirmed beds. To book accommodation at our hotel you are required to pay a deposit equal to 30% of the agreed price.This amount must be paid by bank transfer to the current account of the structure. Billing slip to certify the payment of the deposit.